will require a space tug upgrade. Sheer abundance of gases and their locations make the gas giants good way stations beyond Mars. Hydrogen and methane are excellent fuels for chemical rockets for travel to/from the local moons. Also, hydrogen can power both fission and fusion rockets. ³He is an excellent fusion reactor fuel to power internal systems. Mining operators could gather many metric Tonnes (mTs) of fusion fuel. ³He is an attractive candidate. The ³He-³He fusion process emits no neutrons (aneutronic). This eliminates neutron radiation to greatly extend the life of the vessel's fusion reactors. 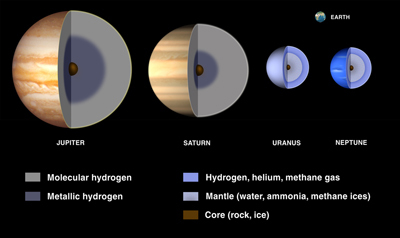 BACKGROUND: Mining gas giants for 3He has been widely studied for many years. EXAMPLE: More than 50 years ago, the British Interplanetary Society proposed a Project Daedalus interstellar probe, fueled by 3He from the atmosphere of Jupiter. Further study has caused many scientists to also consider extracting 3He from the other gas giants because Jovian gravity might prove problematic. (see excellent paper by Bryan Palaszewski)). Daedalus project used an unmanned spacecraft to go one-way to Barnard's Star. At an average speed of 0.15c (15% light speed), the vessel would take about 50 years to travel the 6 light years distance. Before starting the long journey, the vessel would need a lengthy stay in orbit around a gas giant. AEROBOT could drift through atmospheres of Jupiter and other gas giants. It could launch video probes to the surface to record images in various wavelengths. On-board robot could gather gas samples, analyze them, and send results to orbiting habitats. Aerostat Vehicle could persist in the atmosphere to continually process atmospheric gases. 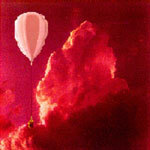 Aerostat will periodically transfer the final product to nearby habitat either orbiting the planet or one of its moons. Scooper “scoops” a portion of the planet’s atmosphere inside the vehicle for later processing. After hundreds of missions, the scooper may show considerable strain from icy particles and potentially reactive materials (hydrogen, methane, etc.). Cruiser gathers atmospheric gases as it flies in the atmosphere for an extended period. To deploy many cruisers, in-situ manufacture and assembly of parts as well as vehicle maintenance may prove essential. Atmospheric mining devices can send their products into orbit to rendezvous with an orbiting habitat. to transport equipment and/or payloads among celestial objects among the gas giants and beyond. On habitats, thousands of humans can enjoy all the comforts of Mother Earth such as: gravity simulated by spinning hull's centrifugal force, energy via ³He fusion reactors, on-board water supply for many uses, terraformed interior for plentiful flora and fauna. Habitats can even use in situ materials to expand their size or even replicate other habitats. For mining operations, these huge cylindrical habitats will have plenty of volume to manufacture and/or transport numerous devices to mine the gas giants. HOWEVER, one may assume that most commercial enterprises will not wait decades for their expensive vessels to travel via transfer orbits, harvest some resources and return to Earth. For practicality, travel time must greatly decrease; thus, space tugs must be considerably enhanced to provide propulsion throughout the flight. A constant acceleration as small as one percent earth gravity (.01 g) would greatly increase the vessel's average speed to greatly decrea>se travel time. Typical Q as Line of Sight Dist. To construct typical transfer orbit between Earth and gas giant, assume perihelion, q, as 1 AU, distance from Sol to Terra. Next, assume aphelion, Q, as typical distance from Sol to destination. To determine period, compute semi- major axis, a, by averaging q and Q. Typical P is decades; way too long! Perhaps our vehicle can accelerate throughout the trip; then, we can assume path from Earth to destination will not be elliptical. Perhaps, the vehicle might approximate a linear path. For convenience, assume typical distance along this linear path is same distance as aphelion (Q) used to construct corresponding transfer orbit. One percent of Earth gravity (g) is 0.1 m per second per second (.1 m/s2). This value converts to .00449 AU/dy2; thus, we can determine accelerated times in days. Common motion formula lets us compute accelerated time to midway to dest (d/2). Beyond the orbit of Jupiter, the main mission will likely be mining Helium-3 (³He) from gas giants. However, there are also plenty of minerals and volatiles among the asteroids and comets among the Trojans, Centaurs, and other asteroid families. Mining the atmospheres of the outer planets will prove essential. Using specialized factories to harvest hydrogen, helium, and helium 3 gases, we can power nuclear fusion power systems for many far flung habitats. Many issues complicate the harvesting of these valuable resources. 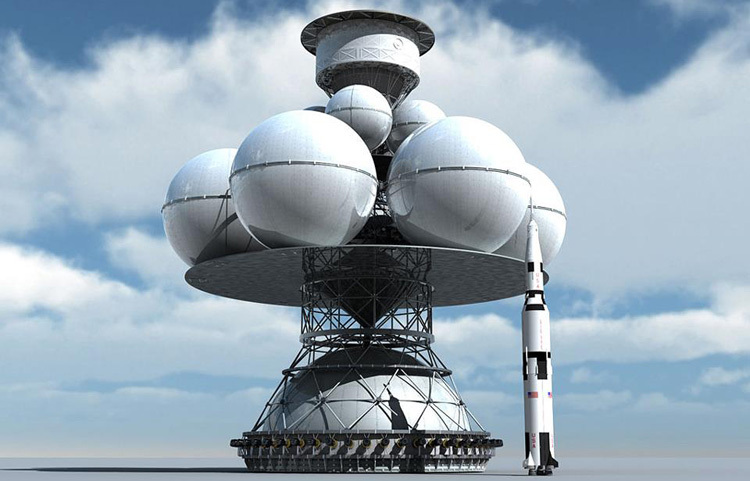 The dynamics of the atmosphere, radiation, and the energy for orbital transfer all call for very energetic and reliable propulsion systems to allow for rapid, reliable, and repetitive visits to the planets and their moons. To handle the rigorous requirement of constant acceleration, space tugs might upgrade their propulsion systems from perhaps gangs of cyclotrons to a basic synchrotron. Effective harvesting of available resources will control the timetables for human exploration. Indeed, the outer planets' resources will lead to the stars.